This afternoon, we published in detail a story on the Life Site website concerning remarks attributed to a person ‘identified as Mary Kennedy, of RTÉ,’ reportedly made in the press Centre in Knock, County Mayo during the Pope’s visit on Sunday. Mary presented the Saturday night programme live from Croke Park in RTE 2 so wasn’t any part of coverage from Knock. Also for the record that story was referenced on RTÉ’s Morning Ireland which was co-presented live on Sunday morning from Knock and on RTÉ’s One O’Clock TV news bulletin along with subsequent coverage. We are very sorry to Mary Kennedy. We should have verified the identification. We have contacted the journalist concerned and will follow up as soon as we know what happened. Posted in Misc and tagged Mary Kennedy at 4:27 pm on August 28, 2018 by Admin. To be fair to you, Bertie, you’re a stalwart stalker, sorry admirer when you put your mind to it. Yep, I’m very discerning… I’m looking for a woman who combines the face of Mildred with the body of Mildred. Are you trying to ruin this for me? And thus ends Broadsheet’s faltering attempt at “balance” by publishing the screaming abdabs of a Yank wingnut. Screaming abdabs. I shall steal and use. Thanks, Old Boy! Say another decade of the rosary as penance. My comment was deleted as well – all I did was compliment the women! Shame. I was enjoying that Oliver Callan post. Hmmm when I call Broadsheet out on their fupp ups they just delete the post and pretend it never happened. And yet, here you are…. I said they deleted the post not the comment; so your point is what exactly? It’s been corrected. It takes a bigger person to … etc.. It now says ‘Eileen Dunn’ when I read the linked piece just now. it’s a shame the original comments featuring all the people saying the MSM cannot be trusted are gone now. The irony is overwhelming. This is what news organisations like RTE, The IT etc (usually) do. The original story is completely debunked by the statement by RTE above. Live coverage of Pope Francis’ visit to Knock. Presented by Eileen Dunne and Caitriona Perry. The RTE Knock coverage was Eileen Dunne and Caitríona Perry. So they were the RTE Knockers ? Just the one today, charger. Story was was on the guardian, Irish Times, CBS in US, The Journal websites on sunday at 3pm. The news broke this part of the world in the morning and was everywhere by afternoon. I thoroughly searched the RTE news website at that time as I guesstimated that it would not be there :-). No clue if it was on live RTE radio or tv but I thought the website omission was very striking. 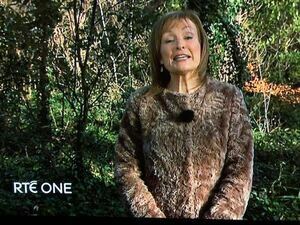 Well fair play to RTE , quick response, have they turned over a new leaf ? The best part of the Croke Park gig was the RTE bit after. Four Marys thinking of things to say which wouldn’t offend the grannys. We should send them all up to the border after Brexit. The best part was when it ended.. So basically: a conservative Catholic propaganda machine’s website sent some of their foot-soldiers who masquerade as journalists to Ireland to highlight the scandal about a pope they hate because he is too liberal in their eyes. They then are annoyed because the Normal media don’t jump on the scandal story immediately. So was someone trying ta stitch up Mary de ye think? Broadsheet will have to learn Italian and beg forgiveness, like Papa Francisco. Hail Mary, full of grace…..